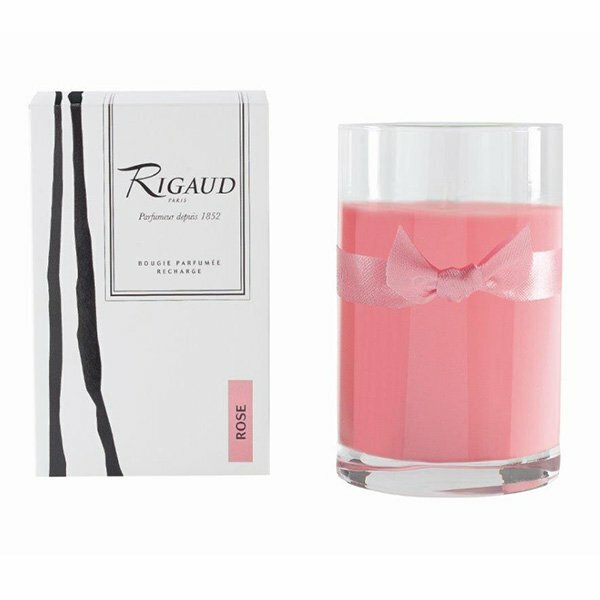 Rigaud Rose Standard Refill Candle is furtive and evocative, the heart of Damascus, source of a thousand and one fragrances. You'll share a universe of voluptuousness and sensuality while delicate petals unveil a powdery, intoxicating heart over a soft and sensual base, both pretty and modern! Rigaud has been producing scented candles for more than half a century. Each candle is hand-poured and inspected to insure a premium quality product. Rigaud Candles burn evenly, without leaving any deposit on the glass and they do not tunnel, unlike hard wax candles. Each candle (excluding Refill) comes with a silver "snuffer" lid.